FREE DOWNLOAD - click here for the ZIP file and here for a .tar.gz file. After extracting the archive, please read the readme.txt file for using the program. 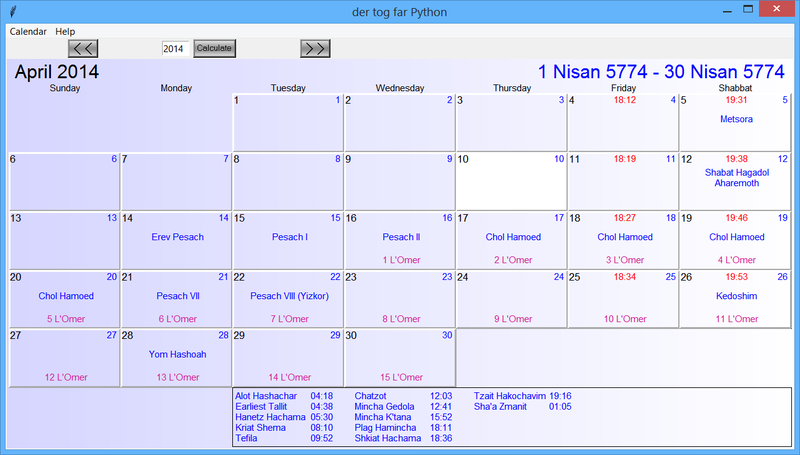 The calendar runs e.g. under Microsoft Windows, Unix/Linux, Macintosh. The delivered software is protected by copyright laws and is freeware. The authors are not liable for consequential, incidential or indirect damages of any kind which arise out of the use of the software.